August was a busy month for the Relay team with two workshops taking place in East Africa. This post focuses on how Relay structures and delivers workshops in the field of reporting research. Relay workshops are participatory in nature, made up of a mix of plenary sessions and group exercises. The sessions are delivered by researchers and media practioners who provide context and information on issues, and share their experiences and learning from the project for the participants. Relay has developed a range of tools to capture its learning that will be explored in greater detail in next month’s blog post. The speakers who deliver the sessions have either been working with Relay from the beginning of the project, or have been drawn from networks we have created in the regions we work in. These workshops, and the subsequent feedback Relay has received, are evidence of the importance of holding workshops such as these to improve reporting on research. They provide networking opportunities between the media, researchers and civil society as well as providing journalists with valuable information to increase their knowledge of research surrounding issues such as tax. 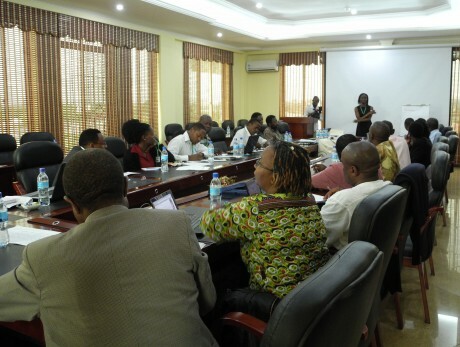 The Building Solutions workshop for the IDRC project was held in Dar es Salaam on August 22. The aim of the workshop was to gather the lessons learned from the project through discussions with participants and obtain recommendations to enable Relay to use in future projects. The response we received throughout the day were very encouraging. The participants also discussed recommendations for Relay to take forward. Alvin Mosima of the Tax Justice Network in Kenya stressed that there needed to be continued and sustained engagement on these issues between the media, researchers and policymakers. The next workshop – “Unlocking tax secrets in Kenya” – took place in Nairobi and was the official launch pad of the East African Tax and Governance Network. It was opened by the Economic Secretary to the Ministry of Finance of Kenya on August 23. The purpose of the workshop was to demystify taxation in Kenya. The sessions were divided into two themes: “public financial management” and “tax revenue leakages”. Researchers working on tax issues in the country delivered interactive sessions that aimed to simplify tax terminology and issues surrounding taxation. The great thing about these sessions was the use of examples that rooted taxation issues in everyday life. Participants from the media and civil society were able interact with researchers and ask questions when they needed to. As a result of this workshop two articles in The Daily Nation and The Star were published the following day. For more information on Inclusive growth project please click here. For more information on the East African Tax and Governance Network please click here. Tax matters: is tax the key to development?